The fans of frangipane will be happy. You can’t get enough of Bakewell tart, the famous frangipane and raspberry pie that is originally from Great Britain. If you are looking for a classic and traditional English dessert, you will enjoy this one. Especially since the Bakewell tart goes perfectly with a cup of English tea. 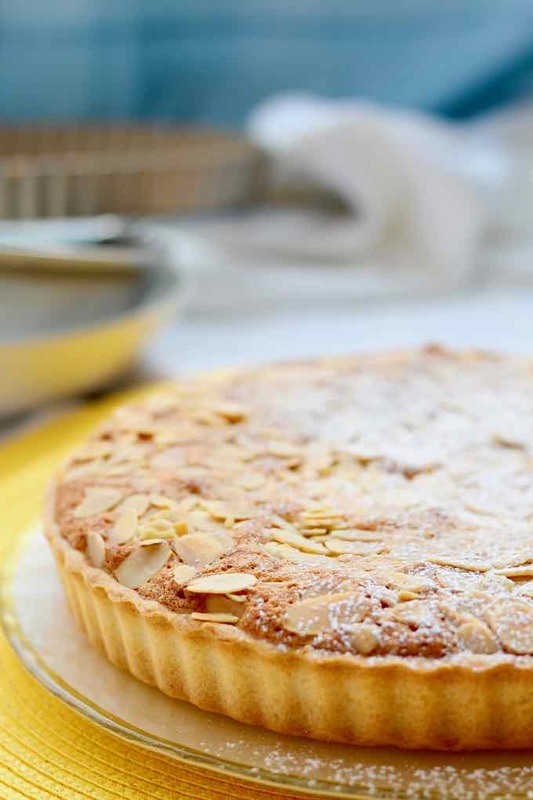 What is the origin of the Bakewell tart? The Bakewell tart was born in the district of Derbyshire Dales, in the center of Great Britain. This district was created on April 1, 1974 as West Derbyshire. It results from the consolidation of the Ashbourne, Bakewell, Matlock and Wirksworth urban districts and the rural districts of Ashbourne and Bakewell. The Bakewell tart can be served warm or cold. Raspberry jam is generally used in its preparation. No one can say exactly the date of its creation. Some assume that it was created in 1820, while others say it was born in 1860. In any case, there are two main variants of this famous pie: the Cherry Bakewell and the Gloucester tart. The cherry Bakewell differs from the Bakewell tart in its composition. 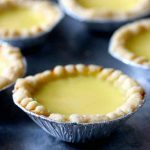 It is usually prepared in the form of tartlets. The almond cream is topped with icing that is garnished with a candied cherry. The Gloucester tart has fallen out of fashion. 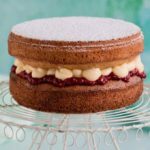 It is strikingly similar to the Bakewell tart, with its jam filling and almond cream. However, there is a small difference, as rice powder enters in its preparation. The Bakewell tart is actually a variant of the Bakewell pudding that dates back to the twentieth century. 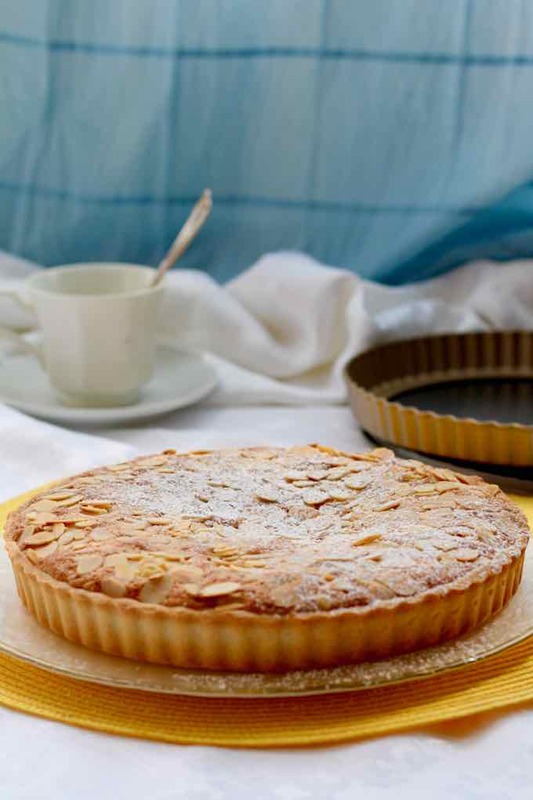 Although the names of Bakewell tart and Bakewell pudding can be confusing, they are two different desserts. The two desserts differ in texture and appearance. The Bakewell pudding is prepared with a puff pastry base on which a layer of jam and a filling of egg and almond are spread. The Bakewell pudding recipe first appeared in 1847. 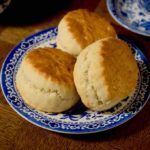 This recipe is the result of an accident that took place around 1820. 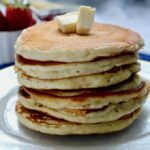 The creator of this recipe, Mrs. Greaves, was the owner of the White Horse Inn. He supposedly left his cook instructions to prepare a pie with jam. However, instead of mixing the eggs and almonds in the pastry, the cook spread the sugar, eggs and almonds mixture over the jam. The result was a success! The guests of the inn were delighted with this dessert, so much so that this mythical pie became an iconic dish of the inn. In France, people enjoy the tarte Bourdaloue, a tart with almond cream, decorated with large pieces of poached pears. 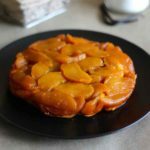 The tarte Bourdaloue, which is served warm or cold, is a must-have French dessert that was created in the nineteenth century by a Parisian pastry chef. However, no one can say with certainty if it was Fasquelle or Lesserteur. The tarte conversation, another French tart with almonds has recently been modernized by Philippe Conticini, a famous French pastry chef. This tart that dates from the end of the eighteenth century is halfway between a pie and a cake. Originally, it was prepared with puff pastry and a layer of almond cream topped with a thin layer of icing. What is special about this tart is the pretty dough lattice pattern. The tarte conversation was created on the occasion of the publication of Madame d’Epinay’s book, Les Conversations d’Emilie. Still in France, the galette des rois is probably the most famous cake with frangipane (or almond cream in its pithivier version). This cake is the popular cake served during the Epiphany Christian holiday at the beginning of January. In Portugal, you will find torta de amêndoa, a lemon almond tart. 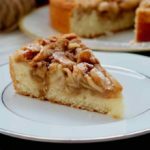 Its consistency is a little more airy because it contains cream in its almond preparation. 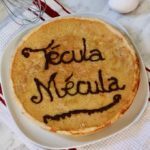 In Spain, Tecula Mecula is the iconic egg and almond pie from the Extramadura region. This pie contains a lot of eggs and a sugar syrup in its preparation. In Austria, you can enjoy the popular jam tart called the Linzer Torte. 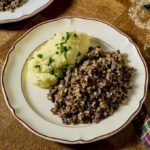 Over there, it is traditionally prepared with redcurrant jam. In Germany and Alsace, raspberry jam is used instead. 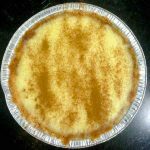 Some variations of this pie use hazelnut powder in the shortcrust pastry. Also in Austria, the Sachertorte, although mainly a chocolate cake, is filled with apricot jam. In Italy, crostata is a well-known jam pie from Lombardy. It is a very old dessert whose recipe was published around 1465. The crostata, which is known as coppi in Naples and sfogliate in Lombardy, is a rustic jam tart with the famous shortbread lattice pattern on top. A similar pie, known as pasta frola, is very popular in southern Latin America, but also in Greece and Egypt. The Bakewell tart is a national treasure. In a 2015 Bakers Week survey, the traditional Bakewell pie won more than a quarter of the vote. 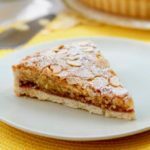 It is therefore easy to see why the Bakewell tart is still hugely popular among the British audience, who are delighted by the idea of ​​tasting it, accompanied by a good cup of tea. 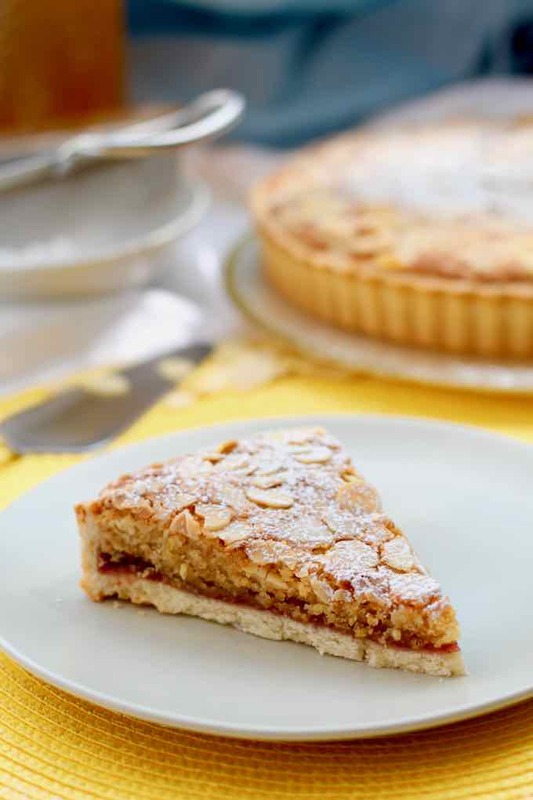 The Bakewell tart is a delicious tart with raspberry jam and frangipane. 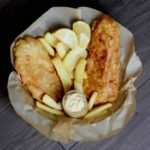 It is a traditional classic recipe from England. In the bowl of a stand mixer, beat the soft butter and the icing sugar until the mixture is white and creamy. Add 1 beaten egg, 1 pinch of salt and about ¾ cup flour. Mix with the flat beater. While mixing, add the remaining flour gradually until obtaining a homogeneous dough. It is very important to work the dough quickly and not knead it more than necessary. Form a ball and wrap with plastic wrap. Place the dough in the fridge for 6 hours. Remove the dough from the refrigerator 30 minutes before rolling. Dust a work surface with flour, then roll the dough to a thickness of about ¼ inch and line the bottom of a 10-inch diameter tart pan, leaving a little dough over the edges. 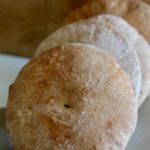 Cut the dough over the edges of the pan with a large rolling pin or a knife. Prick the pie shell with a fork and place in the refrigerator for 1 hour. Preheat the convection oven to 360 F (or 390 F for a conventional oven). Cover the dough with parchment paper and put on a large quantity of dry vegetables (chickpeas or beans for example). Remove the pie shell from the oven, carefully remove the dry vegetables and parchment paper and fill any cracks, if necessary, with the reserved raw dough. Brush the pie shell with the second beaten egg and bake again for 5 minutes until lightly browned. Allow the pie shell to cool completely. In the bowl of a stand mixer, beat the softened butter and caster sugar until the mixture whitens and becomes a little firm. Stir in the eggs one by one then add the flour, almond powder and bitter almond extract. Preheat the convection oven to 320 F (or 360 F for a conventional oven). Cover the bottom of the pie with jam and spread the frangipane over with a spatula, paying attention not to mix with the jam. Bake the pie for 40 minutes. Allow the pie to cool completely before unmolding and serving.